To generate a large data set, Katharina Nocun placed orders for 14 months from the Seattle-based giant. In her cart were more than 60 books, spray chalk for a protest, a button maker, a home trainer, several office folders, a computer mouse, and slippers. After that, Nocun put her request for her data to Amazon’s privacy department. Since the introduction of the European General Data Protection Regulation in May 2018, every Internet user in Europe has the right to request or delete their personal data from web providers. It doesn’t matter whether the provider is a large company like Facebook or Amazon or a small practice for general medicine. If a consumer requests their data, a supplier must deliver it within one month. Supposedly! But when Nocun wanted to query her personal information from Amazon, the king of Prime delivery suddenly no longer remembered these rules. After weeks of e-mails, Katharina eventually got a package from Amazon she put a request for, a CD. And what content was stored on this almost ancient medium? All her self-viewable profile data! Saved searches and other exciting things you searched in vain. There has to be more, Nocun told herself. So she wrote Amazon again. After further letters and set deadlines, finally, a second CD-ROM followed. On it was a PDF with her search queries, reactions to advertising emails and banner ads, as well as an Excel sheet with her clickstream. This sheet comprised of 15,365 lines and up to 50 columns each. Each user interaction with their associated attributes had been documented here. For the 196 days in which Katharina was active on Amazon.de, an average of 78 entries were written. Features such as incomplete IP addresses, all actions such as image enlargements, times, or source web addresses were saved. There it was, a data mountain! But what conclusions can be drawn from this data? Katharina Nocun asked a Berlin-based data analyst, who works under the pseudonym Letty, to derive information from the CD. 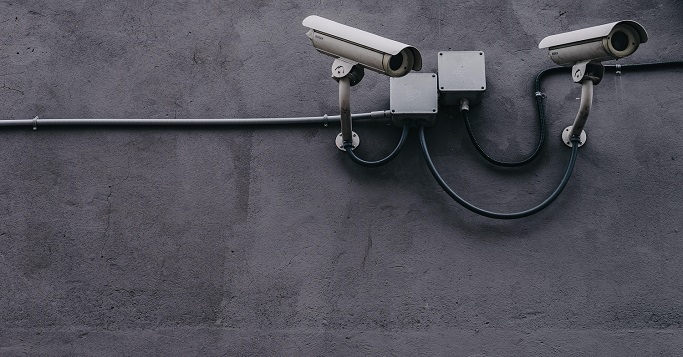 In addition to purchased items and logical conclusions based on the interests of a person, location data could be evaluated without any problems. Most of the time, consumers will probably be surfing Amazon from home. Probably the second most frequent is at their workplace and then occasionally with family in their hometown. Sometimes even while on holiday. Data from previously visited websites reveal further details about interests and preferences, as well as the possible political mindset of the user. Frequently consumed media and book content provide insight into the mentality of the user. Based on Katharina Nocun’s data, Letty was also able to reconstruct her sleep-wake rhythm. Such data can quickly make people feel queasy. If you look at Amazon for small scales that can weigh in milligrams, you might also be given a purchase suggestion of small, transparent resealable bags to go with it. Let’s not fool ourselves: a procedure to store all data that can be stored is already used by major (but also increasingly small) web stores. It’s contributed much to the success of online shopping and to our personal comfort. Correct predictions about consumer buying patterns save logistics costs on the supplier side. Customers appreciate the benefit of optimised product search and attractive bundles. Providers without these features lose market share and, therefore, money. Because we’re being honest, we also know it’s tiresome to go to stationary retails stores to shop. And using a proxy server or blocker and using private browsing mode to block tracking isn’t without presuppositions. Plus: Without confidence in the Internet, it wouldn’t have been possible to develop these advantages based on user data. Speaking of advantages: Perhaps algorithms will exploit small data in the future and it’ll be possible to strike a smart balance between data wastage and scepticism. Last year we were in Munich, this year we’re headed to Frankfurt for our annual conference! On the 28th of March you get the opportunity to take part, connect, and level up your business at the digital base camp at Klassikstadt in Frankfurt am Main. 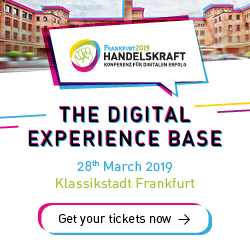 Be there when doers and decision-makers of digital transformation exchange views on trending topics in the industry.Use the interactive opportunity from Handelskraft to gain knowledge, network, and exchange ideas.